Please click on question for answer. What quality T-shirts/garments do you use? Do you use cheap T shirts? Nxt-Gen use several top suppliers for printing T-shirts, Caps, Hoodies, Fleeces etc, but our standard T-shirt is approximately 200 grams and oozes quality. The guarantee that these Tee do not fall apart after one or two washes. Nxt-Gen have built this business from nothing on the basis of offering quality T-shirts, at affordable prices – most of our business comes from personal recommendations. Why are your printed T-shirts and hoodie prices such good value? We at Nxt-Gen believe in giving a fair price (as well as excellent customer service) and the profit margins in this business can be really high, however Nxt-Gen believe in giving YOU a better deal and hope that you tell all of your friends and colleagues about us. Nxt-Gen sold our first product in 2003. Since then our growth has been impressive. Can I park near your showroom? Parking is free we have a large car park at the front of the building. Can I come and see some samples? Absolutely, Nxt-Gen encourage everyone to come down and sample the garments we use for themselves. The best times to come are around 10 - 11 am or 4-5 pm as this is when the phone goes less so we’ll have more time to devote to you. How long will the T-shirts last? If you take our standard 200 gram T-shirts they will last a very long time. We are still wearing some that we made 3 years. Wash at 30 -40 degrees and don’t bleach and you should be absolutely fine. Can you give me a deal on cheap T-shirts/Hoodies/Polo Shirts etc? Absolutely – The more you buy the more you save. Also if we can put our Nxt-Gen logo on your T-Shirt or other garment, then we’ll be happy to reduce the price even more. How do we get the cheapest T-shirts in Redditch and surrounding area? What kind of methods do you use to print? 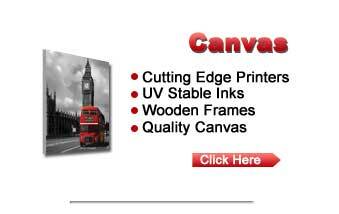 Nxt-Gen use screen printing, vinyl (flex and flock), digital printing and embroidery. Do you give discounts for big bulk orders? Of course, we just did 500 T-shirts for a local company and they paid £4.50 each. The more you order the cheaper the T-shirts or Hoodies get. Can I bring my own T-shirts, Hoodies, Polo Shirts for you to print on? Absolutely, we often print on other peoples shirts. One word of warning though, Nxt-Gen know the T-shirts that we use are fine to print on, but won’t know about the T-shirts you provide, also we accept no responsibility for damage that may be caused to your garment during printing process. Our record is currently 13 minutes from order to finished T-shirts. Most orders are done within 24-48 hours, while we need five working days for larger orders. If you are really stuck we can always juggle things around and fit you in but we might then charge you a little extra. Can I get them today? It really depends on what T-shirts we have in stock on the day. Give us a call and we will let you know what we can do. 01527 759 065. Around 10am in the morning before the phones starts ringing an emails start to come in. Do you do other promotional goods?